Our head office is located within the city centre boundary. All deliveries to customers are made from our Glaswegian head office and warehouse daily. 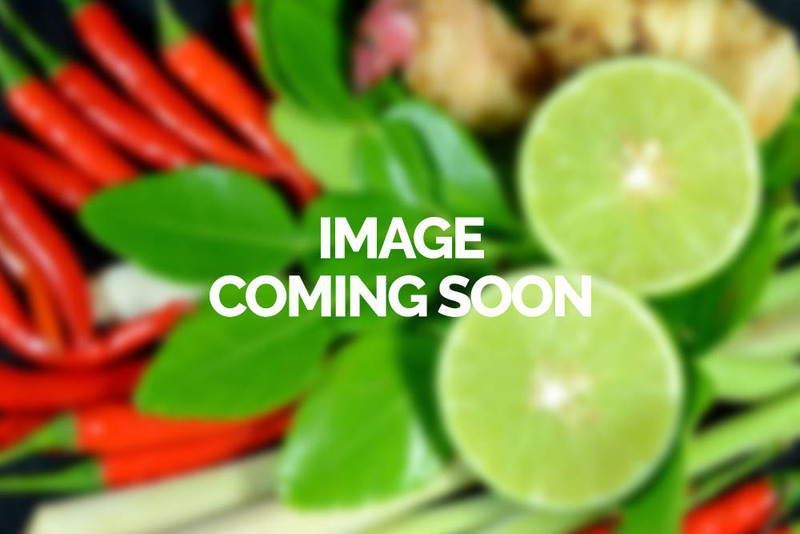 The supermarket for the public is located just a few minutes walk from Cowcadden Underground. To reach us by bus, take bus number 54 or 75 from Glasgow City Centre. To reach us by Subway, drop off at Cowcadden Station. For those that drive, we are very close to the M8, which acts as a major link to cities such as Edinburgh, Carlisle, and Greenock etc. Head west on M8 for about 0.6 miles. At junction 16, exit toward A81/Aberfoyle (459 feet). Pass two set of traffic lights on the third sets of traffic lights, turn right and Matthews foods on the right hand side. We provide ample space for customer car parking with designated areas for the disabled. Our Aberdeen branch is located near to the city centre and we are easily accessed by public or by private transport. To reach us by car in Aberdeen: From Union Street, turn left on to Broad Street; continue over to the Holy Mount Roundabout, the commercial development is on your right hand side. We have ample free parking and bicycle stands for all our customers. To reach us by bus, please visit www.firstgroup.com for more information. 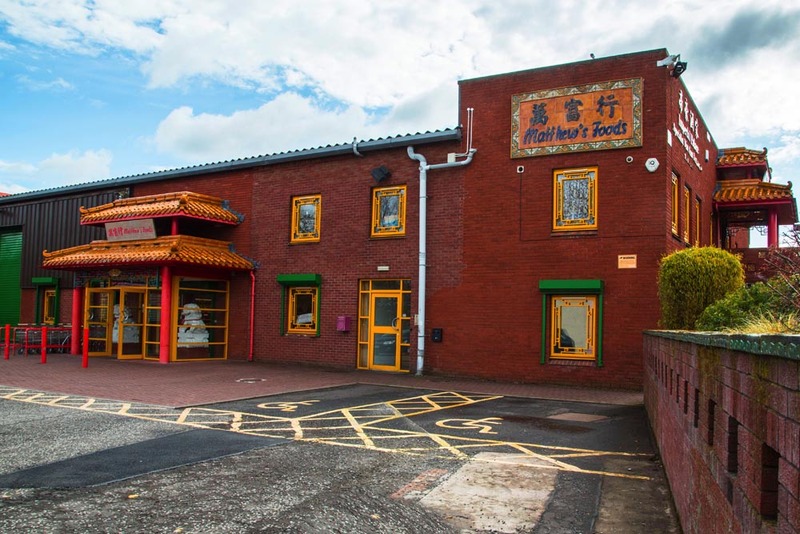 Matthew’s Foods Aberdeen is housed in one of two specially designed Chinese style buildings close to the city centre. The architectural style is adapted from the palaces in China’s Forbidden City. We have given it our own modern twist but we have retained the traditional style in our Chinese doorways. Occupying the other building adjacent to the supermarket is The Manchurian, a specialised dim sum restaurant. 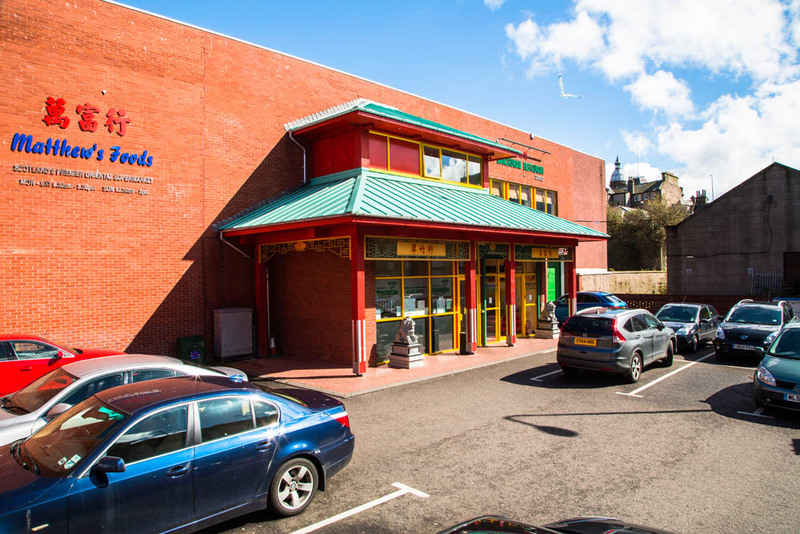 The largest Oriental supermarket in Edinburgh City. To reach us by car. Download map and directions here. Following the style of our supermarket in Aberdeen, we’ve adapted once again, the architectural style of China’s Forbidden City. Our supermarket is on the ground level accessible from the carpark. Imperial Palace Restaurant is situated on level 2 and can be accessed from the carpark and walkway. The restaurant serves dim sum and other Chinese dishes. Our central location within Dundee means that we are easily accessible by all members of the public. Our store is located directly opposite the Gellatly Street Car Park and at the back of the Marks & Spencer store. 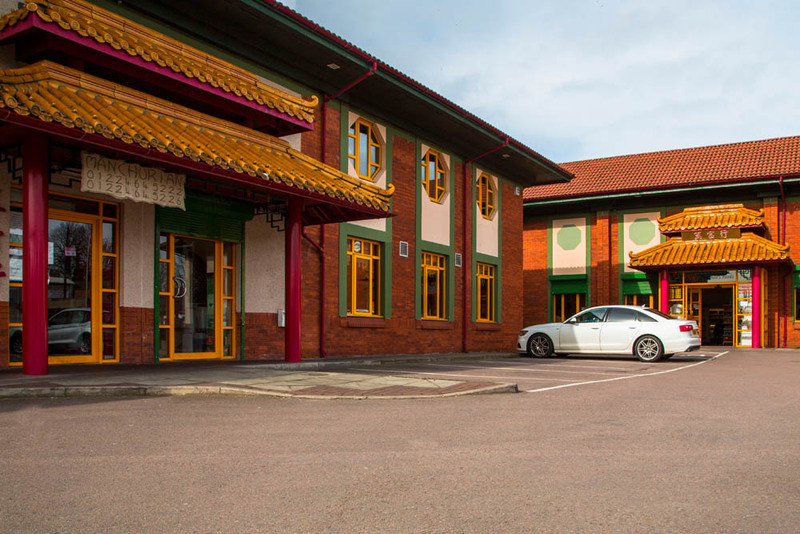 Our colourful appearance which uses red coloured tiles for the roof and bright colours such as red, yellow and green; resembles traditional buildings of China and offers our customers a sense of Chinese tradition.